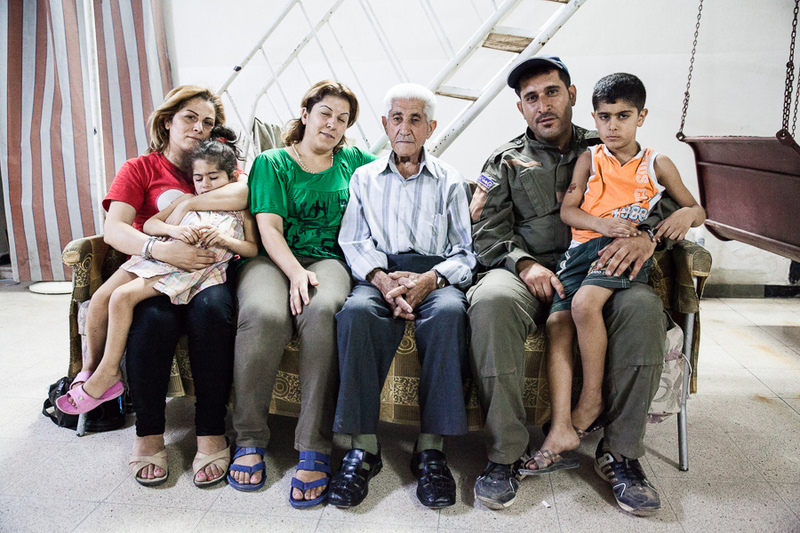 The ancient Syriac, Syrian Christian, community of Syria has a history dating back to the 1st century AD. 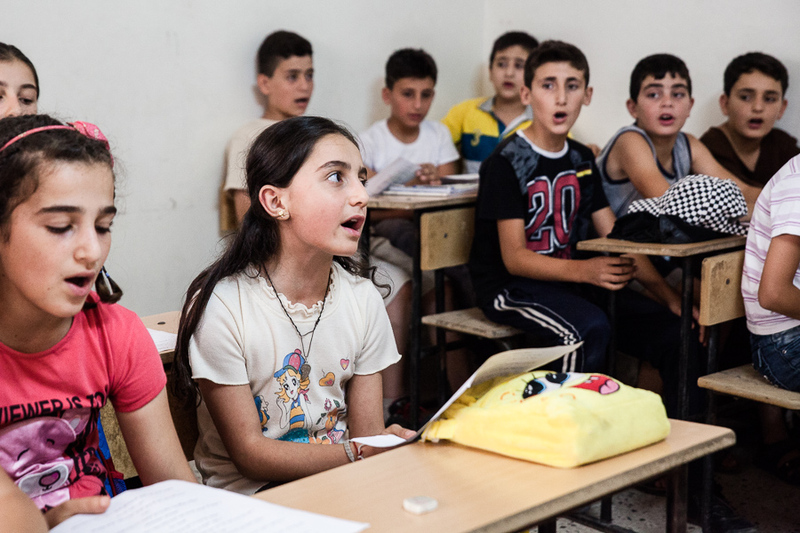 The language spoken here, Syriac, is a form of the ancient Arameans, a dialect of Middle Aramaic that is of direct relation to the Aramaic of Jesus. 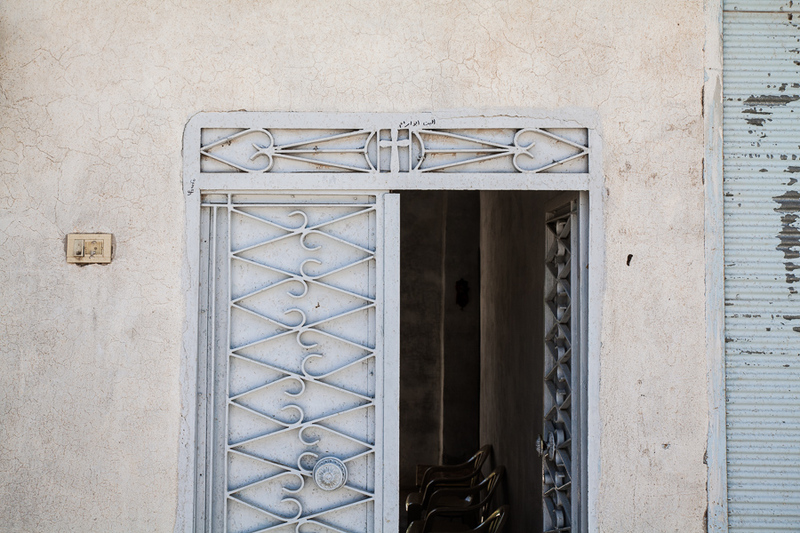 Over the centuries the Syriac community has become smaller under the pressure of conversion when Islam rose in the region. At the beginning of the 20th century Syriacs ,and Armenians, were brutally killed by the new Turkish Republic in what many see as a genocide. In Syria, however, the state regime allowed Syriacs to keep their traditions and language, as long as it wasn’t too public. 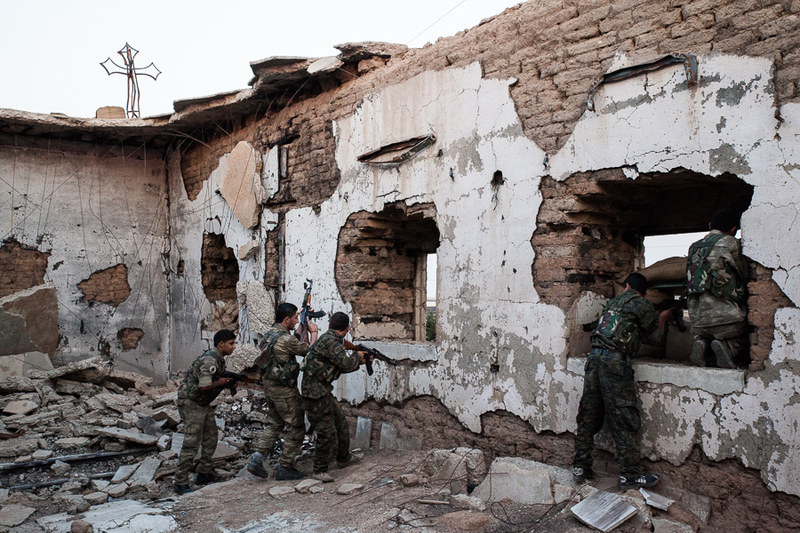 The government in turn used Syriac priests to spread the regime’s word amongst the Christian population. 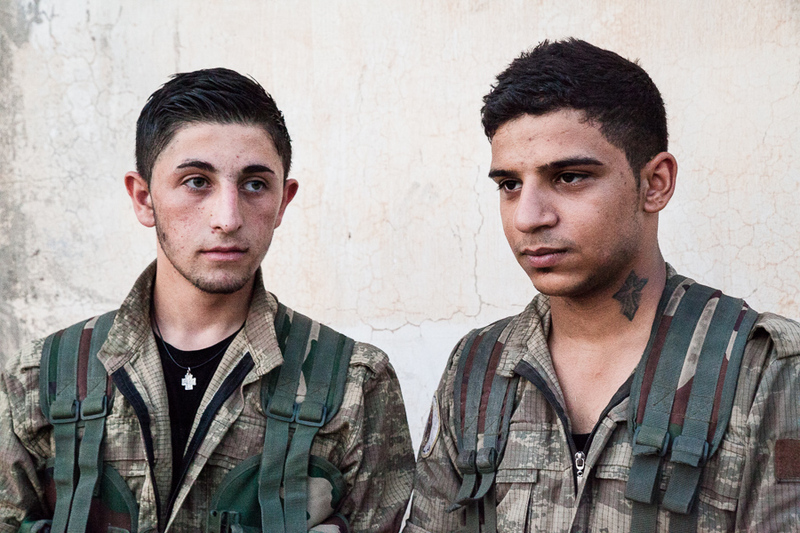 As a community the Syriacs had no rights. 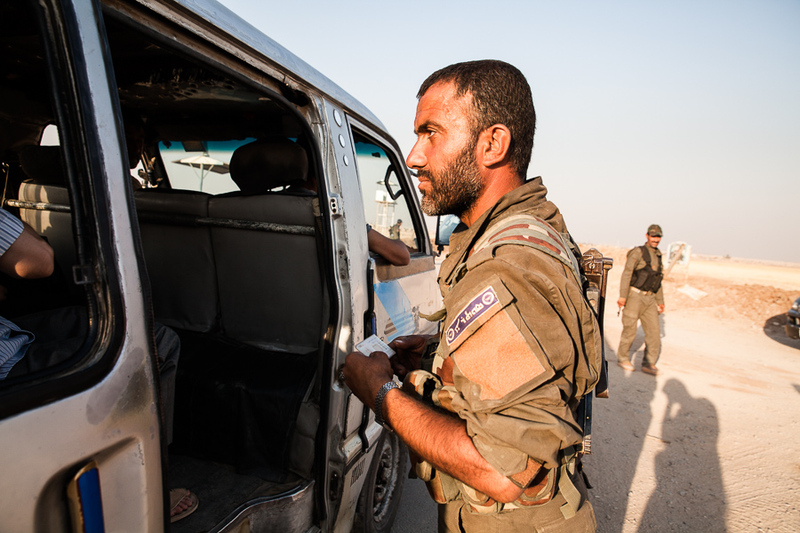 Following the start of the 2011 uprising in Syria, the community’s population decreased further. 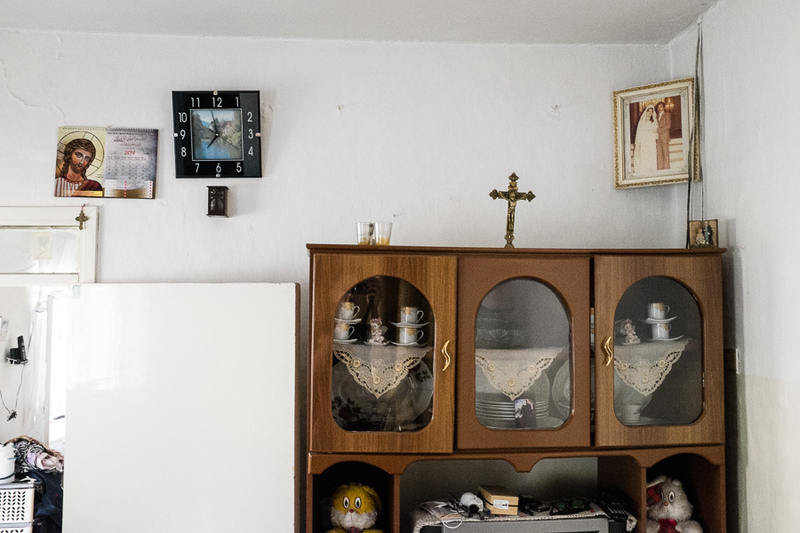 Many Christians, afraid of renewed persecution by Islamist groups and rouge forces chose to flee. Those that remain live in fear and isolation. 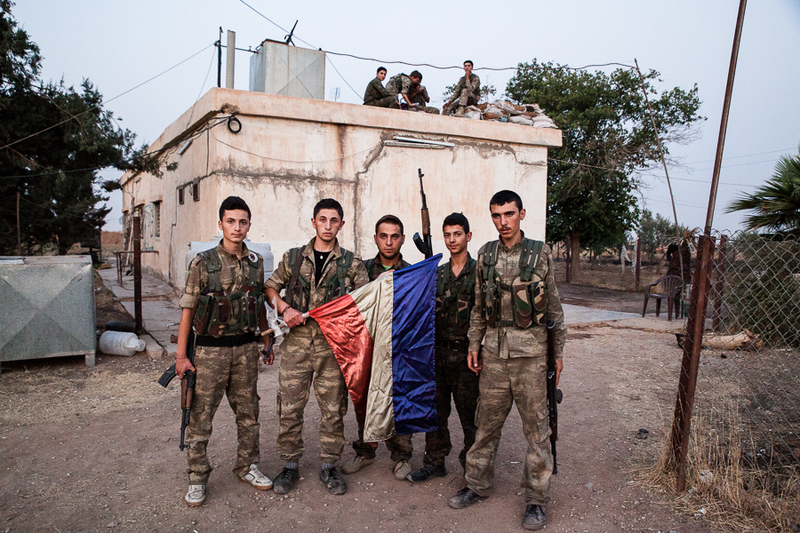 In northern Syria, in the predominantly Kurdish region, the 2011 uprising gave occasion for the Syriac community to claim new rights. 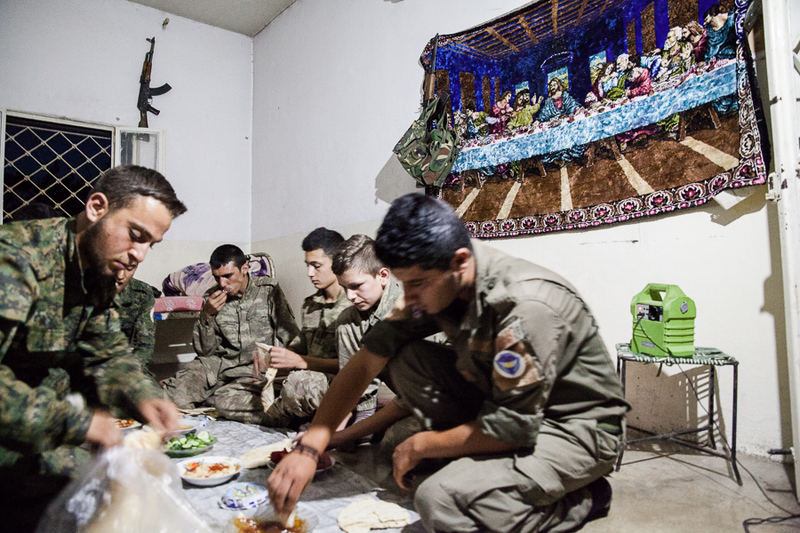 Describing itself as an ethnic group, not as a religious group, some members of the community choose to take part in the new local administration established by Kurds in the Kurdish areas of Syria. For example, in the canton of Jezireh, in the north east, the vice president of the administration is now a Syriac women. 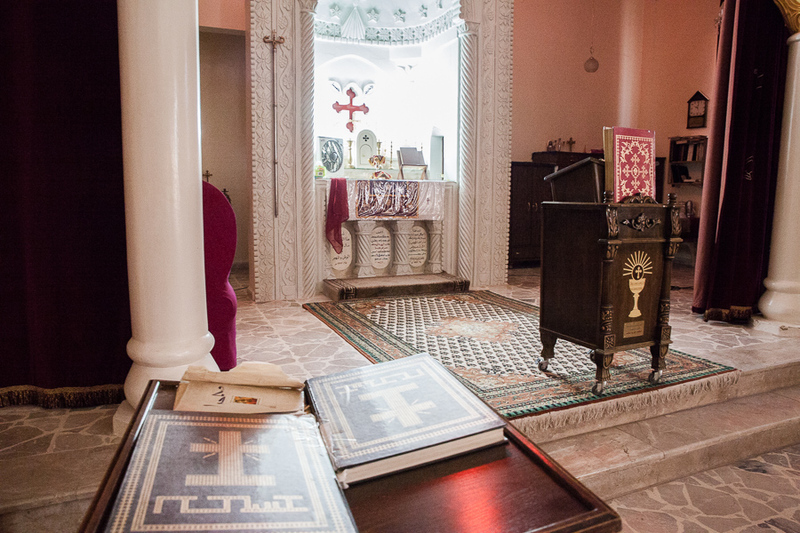 Here also Syriacs hold 15 of the 78 parliamentary seats, where they represent their community’s point of view. 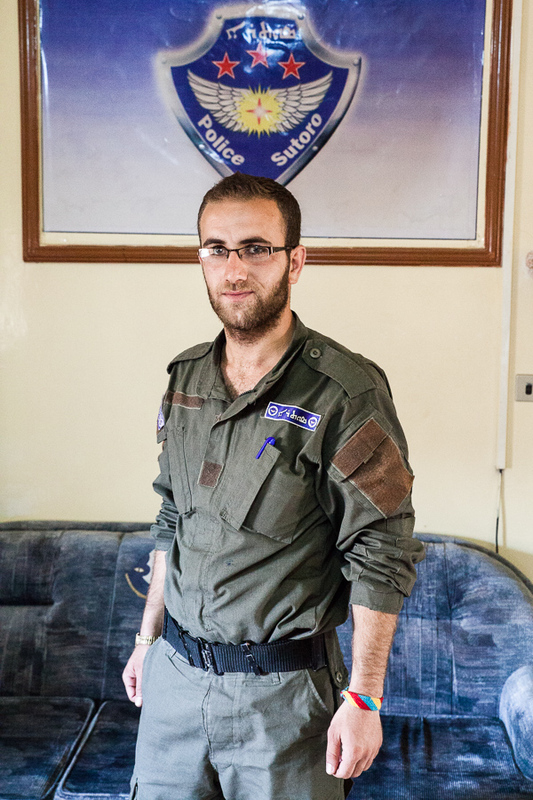 In the small town of Tirbespiyeh (Gabara Heworye in Syriac), a Syriac community that is thousands of years old, has organised its own defense militia, the Sutoro, as well as the Syriac Army Council, which works in collaboration with the Kurdish armed forces. Despite the fears of the community and their reticence at first not to be put in the spotlight when a photographer came to town, many members see the present conflict and possible disintegration of Syria as a chance for them to stand up, rise and face their foes so that they can live in peace and be assured of a future, equally as long as their proud past. 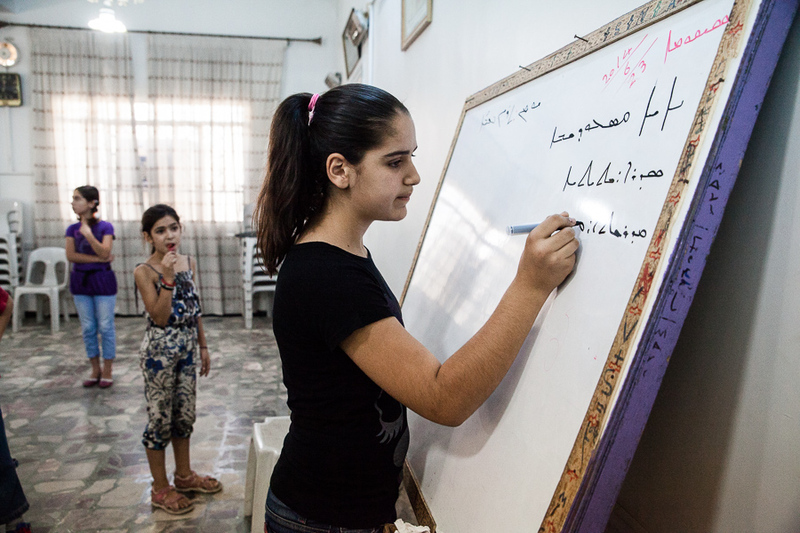 For the past year the local administration has allowed Syriac to be taught in school. The church organised this summer school for the children. 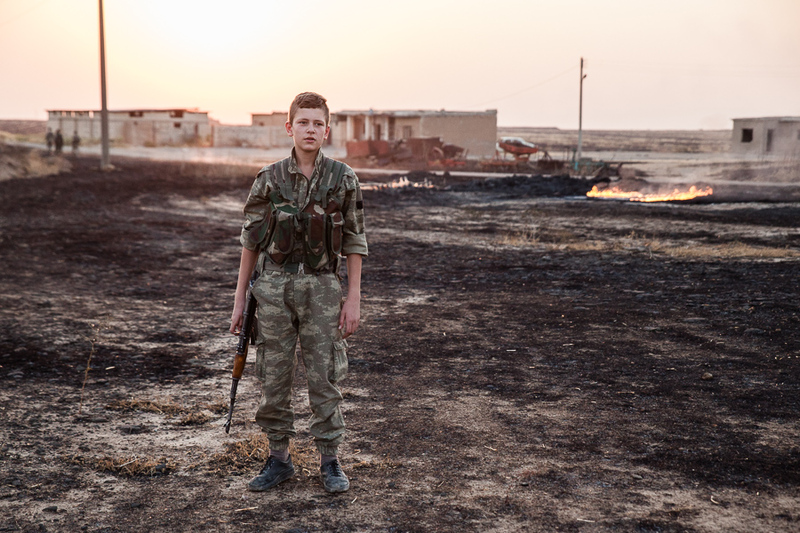 Whilst the elderly father in this family reminisces about the the good old days of the regime, his son has opted to join the local militia force, Sutoro, totake up arms and defend the future for his community. 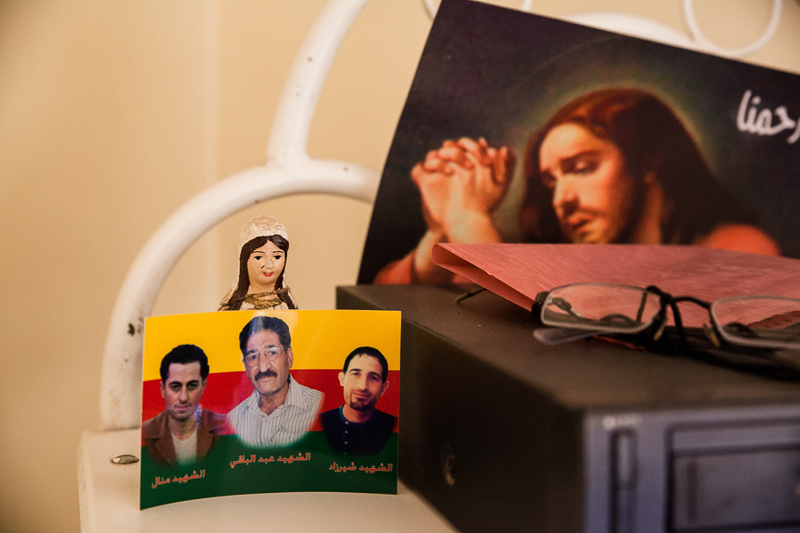 A postcard depicting Christian martyrs killed in the current fighting. 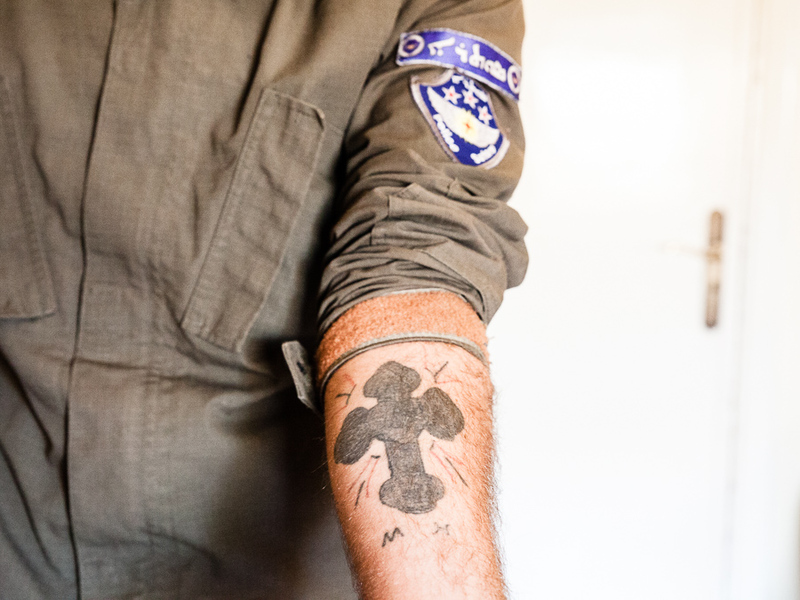 A cross is tattooed on the arms of a Sutoro member. 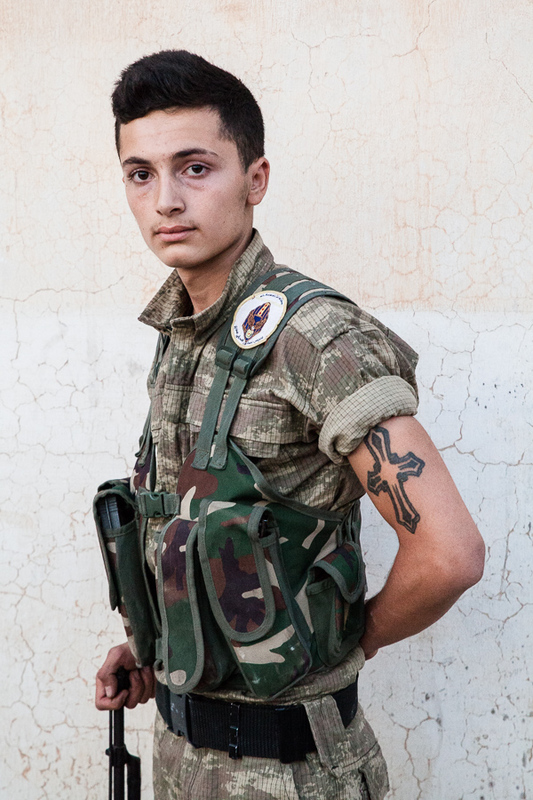 With tattoos such as this fighters are proudly declaring their affiliation and commitment to their community, for if they are captured by Jihadists, there is no denying their religion. The jihadist group “Islamic State” often attacks in this area south of Tirbespiyeh. 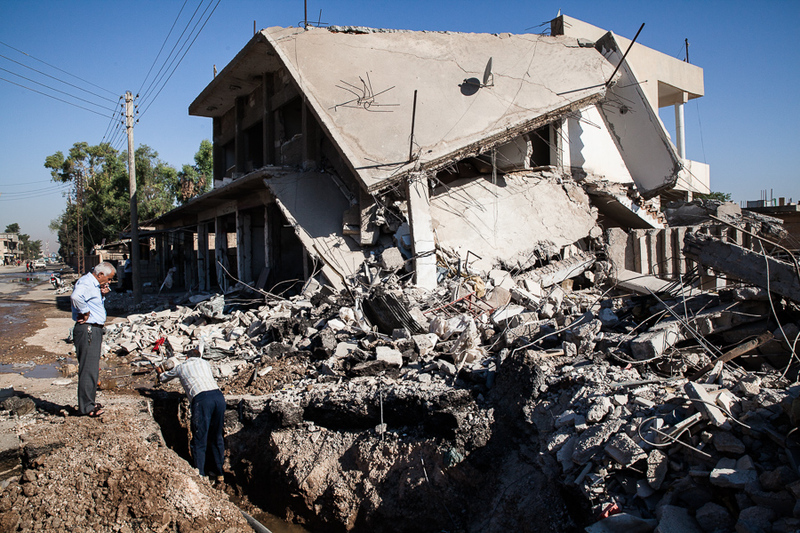 Syria, June 2014. 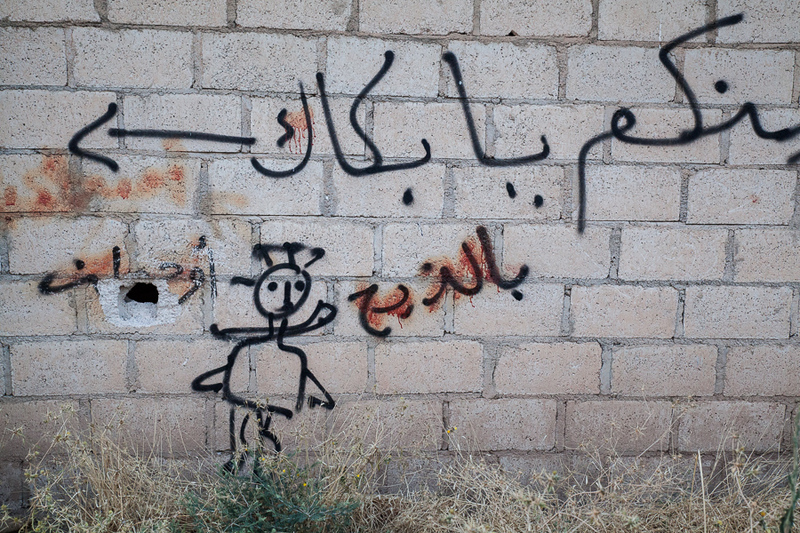 Graffiti scrawled on a wall by jihadis from the Islamic State, south of Tirbespiyeh, Syria, June 2014. 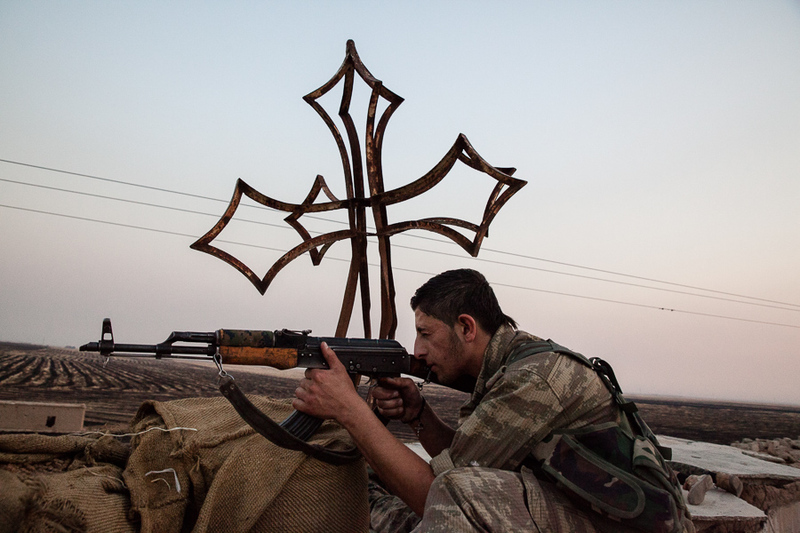 Only the cross remains on this church destroyed by IS fighters south of Tirbespiyeh.